Liesl + Co., 9780692687253, 152pp. Imagine it. Make it! You don’t need to be a designer or pattern maker to create and sew the dress of your dreams. Let Liesl Gibson teach you how to alter the elements of a pattern to make exactly the dress you imagine. 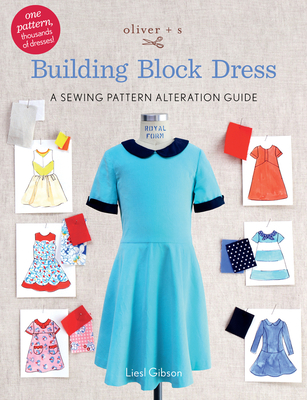 With the included Building Block Dress pattern (sizes 6m–12) and Liesl’s detailed pattern alternation instructions, you’ll learn how to create almost any dress you can imagine. Use the skills you learn in this book to customize other patterns as well. With these techniques, you’ll look at sewing patterns as just the starting point for your creative expression. Liesl Gibson is the designer behind the Oliver + S, Liesl + Co., Lisette, and Straight Stitch Society brands of sewing patterns and is the former designer for Ralph Lauren and Tommy Hilfiger. She is the author of Oliver + S Little Things to Sew. She lives in Madrid.